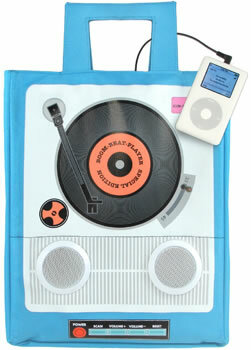 The iPod Tote ($60) gives you a nice touch a retro geekiness with its big turntable print on the side. 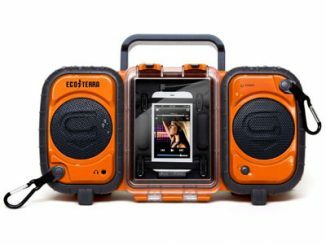 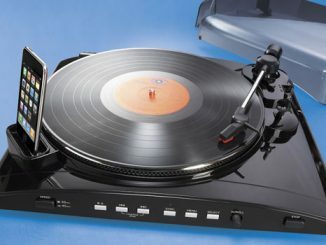 It features built-in speakers, an FM radio and is compatible with MP3 players and mobiles. 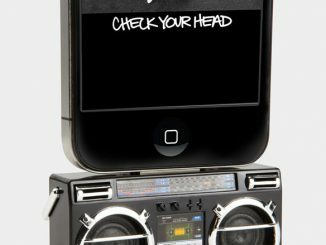 Measures 12 x 14.5 x 3.5 in. 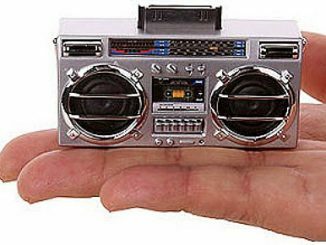 and runs on four AA batteries. 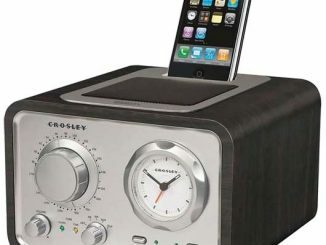 Did you like this item? 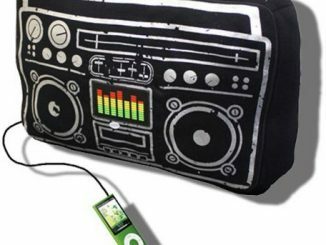 Check out the Boombox Bags For Retro Geeks entry. 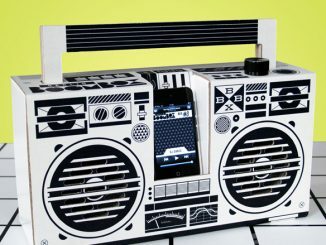 Remember that cool cardboard MP3 boombox from last year? 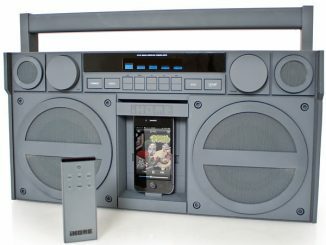 Now you can get the real deal – a black iPod dock in true 80s ghetto blaster style. 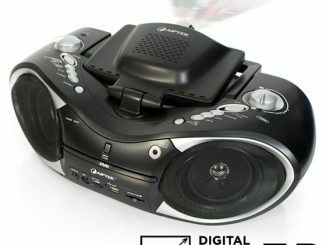 Remember the Lasonic i931 and the Cardboard MP3 Boombox speakers that we have covered earlier? 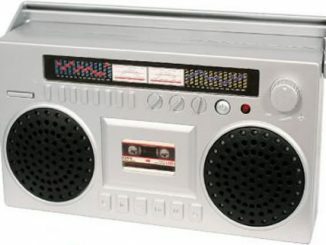 A brand new silver colored model will soon be available for those who want to go the 80s ghetto blaster style with their modern day MP3 player.